For or the first time at New York Fashion Week, the customer is the VIP. Club Monaco is proud to be presenting a full-scale fashion show not just for media, but for consumers. On February 10th, the lifestyle brand was thefirst to invite customers to view its new men's and women's Spring collections at its global flagship store. The pieces that walked the runway are now available in every Club Monaco store, with select items available for waitlist. In this unprecedented move, Club Monaco has given the customer premier access to shop and experience the excitement of New York Fashion Week. 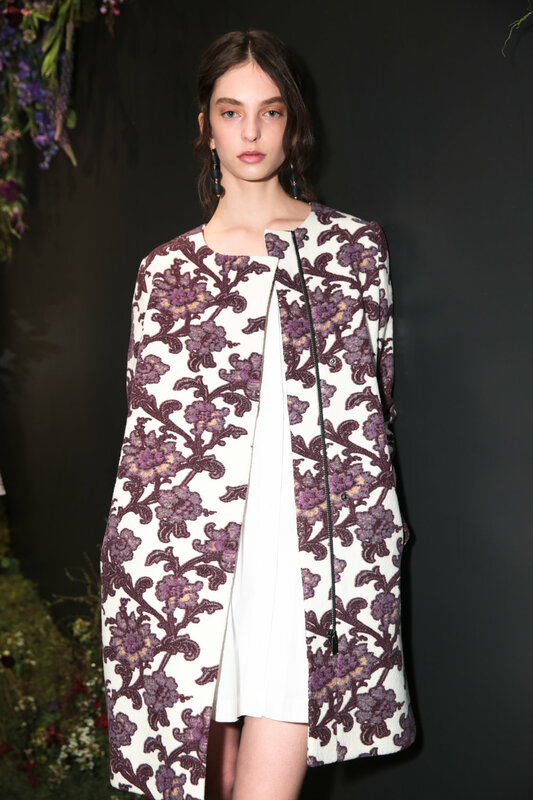 Following the show, Club Monaco brought The New York Fashion Week Collection on the road for customers around the globe. During the month of February and March, the brand will host a series of consumer events throughout the United States, Canada, the UK and Asia to celebrate the collection. This Collection was inspired by the documentary Latcho Drom, which follows a family of travelers from Romania to India and pays homage to timeless travel celebrated through song and dance. This story inspired the Collections colorful patterns and peasant details which are offset by clean, crisp fabrics. Bold floral prints and pleated ruffles balance sculptural knits and classic stripes. “Patterns from a Romanian shawl and the documentary sparked the inspiration behind the collection, but we’ve stayed true to our urban roots, mixing it up with crisp fabrics and sculptural shapes,” said Caroline Belhumeur, creative director and SVP of women’s design. The Club Monaco Men’s Spring 2017 Collection builds upon a renewed sense of updated classics, giving quintessential menswear pieces a technical twist. Pinstripes, chalk stripes and jacquards are reinterpreted, while softly tailored blazers and classic newsboy jackets are updated in nylon tech fabrics. Pattern is key, with sophisticated florals, eastern European prints and reworked stripes paired and layered to create a refreshed sense of dimension. “This season our overarching focus is pattern, incorporating florals and various renditions of stripes paired together in a novel way,” said Matthew Millward, vice president of men’s design.